Successfully Added Wholesale Savings Digital Camera - 5M Pixel CMOS Sensor to your Shopping Cart. Incredibly low priced digital camera with a lot of power behind it, including the ability to take very sharp and beautiful pictures up to 6.1M pixels interpolated. 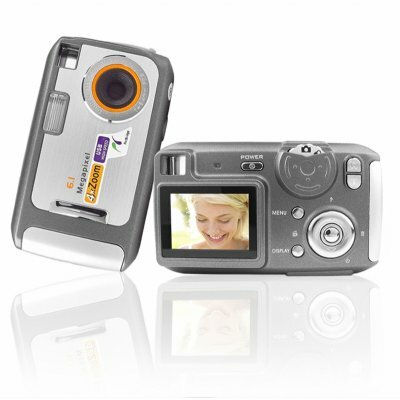 This wholesale deal digital camera features 8MB of internal memory and a SD/MMC card reader for 2 more GB of memory, AVI format digital movie clips, great picture options, and compatibility with Pictbrigde for direct printing from the camera. For a price you might expect from a lowly 100k pixel camera, you will be getting a great camera available direct from China to you..